Get in the Himalayan Salt Stone Zone! Give your skin a renewed glow and sense of wellbeing. 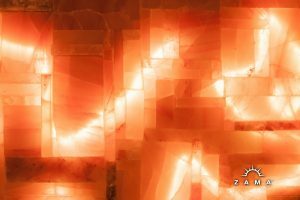 Turn back the hands of time and clear toxins at Zama with our Himalayan Salt Stone Age Defying Facial. You’ll relax while your skin soaks up antioxidants from nutrient rich war med Himalayan Salt Stones. We’ll use these precious stones to massage your neck, arms and feet. 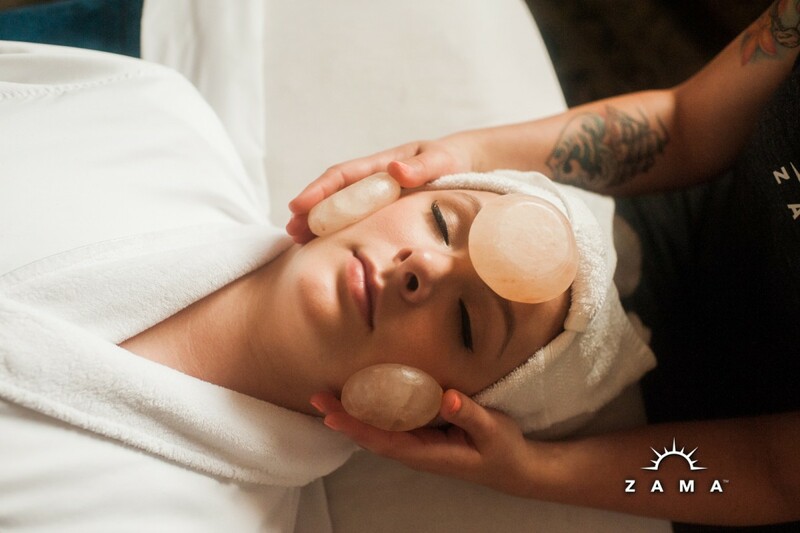 This relaxing facial treatment incorporates warmed Himalayan Salt Stones that contain an abundance of essential minerals that exfoliate, soften skin, mineralize, gently detox and leaves your skin with a renewed glow and sense of wellbeing. Luxuriate and restore with a steam treatment. As the warm steam softens your pores and prepares your face to receive the rich treatment and ingredients from Eminence, the steam stimulates blood circulation to the face allowin g the skin to look refreshed. The healing products in this facial are all from Eminence Organic Skin Care and are perfect for maturing skin, and promise to hydrate, revitalize, and restore elasticity. Book your Himalayan Salt Stone Age Defying Facial today!